We welcome every guest as a friend. 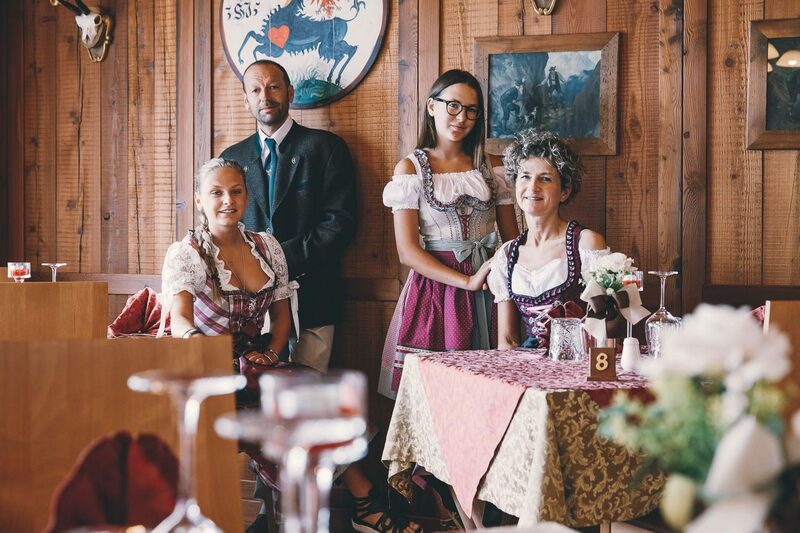 Every detail of our family-run Hotel tells a story about mountains, local traditions and care of our guests. Our Hotel in San Martino di Castrozza, a small town at the bottom of the Dolomites, in Trentino, lies in a central position, facing the main street of the village, which becomes from the afternoon a pedestrian area, the beating heart of this little resort in the italian Alps. Our family has a very long tradition in the art of hospitality: let the warm and cozy mountain atmosphere seduce You, choose one of our 20 wooden-furnished bedrooms all with a view of the Pale di San Martino, let our Chef spoil You with refined recipes, make Your holiday a memorable experience of taste and relax. Occasions not to miss for a Holiday to remember! From 18th to 25th December, Skii Holiday at the special price of 420,00 € per person, 7 days half board with typical dinner and a snowshoes hike with an Alpine Guide included. From the 8th of January to the 5th of February, Skii-week Holiday at the special price of 323,00 € with typical dinner and snowshoes hikes with our Alpine Guide included. Get the 15% off for the Skipass ticket! We love our land and we make our best to preserve it, to give our sons the chance to live and enjoy this amazing nature: in Summer 2016 Hotel Centrale joined the project Green Way Primiero, nature as an attitude. The entire community of Primiero – San Martino di Castrozza, Passo Rolle and Vanoi works and copes to ensure an improvement in terms of quality of life and to promote a new kind of tourism: we strive to reduce the production of waste, to use renewable energies, to make use of green mobility. A low environmental impact life is a choice, and we made it a real possibility, the first step to protect and enhance our territory, already listed as one of the natural sites of the Unersco World Heritage. Since the Nineteenth century, San Martino di Castrozza has been one of the most well-known alpine tourist resorts: among its most famous guests, we remember the italian writer Dino Buzzati and the king Leopold II of Belgium. This beautiful mountain location with its dense forests, the green meadows, and fresh rivers, offers long sunny days all over the year. The wild dolomitic nature is a paradise for the outdoor lovers: via ferratas, paths and tracks to discover by bike or by foot, on the trails of the ancient pioneers who made the history of the italian and european mountaineering. The San Martino di Castrozza – Passo Rolle Ski Area has a unique position in the southern part of the Dolomiti Superski resort, which determines never too low temperatures and sunny weather: the perfect climate to enjoy Winter sports! The very well maintained slopes, about 6o kilometers of trails with an altitude between 1400 and 2400 meters and a 95% of planned snow cover, find themselves in the amazing scenario of the Pale di San Martino. Fine cuisine is a family matter. In our restaurant, the quality of the raw materials and the ancient flavours are behind our kitchen philosophy: traditional and revisited recipes will bring You on a gastronomic journey through the local delicacies. Guests with particular needs will also find gluten-free and non-dairy products at their disposal. From the great classics of the traditional kitchen of our region, to the modern recipes, every dish of our Menu will indulge Your palate.